For the last month I haven’t carried my wallet. Here’s how I’ve fared. Oh, how times have changed! I not only have a calculator in my pocket, but I have what would have been the equivalent of a military grade super computer with me at all times. There are some things you always carry with you. When you drive you carry your license. When you need to spend money you carry either a cash or a card. Most people would combine all of these things and put them in their wallet or purse, and for generations that’s what we’d been doing. But now that we carry our phones with us everywhere do we really need to carry around our license, cash, and cards? There are good reasons to still use cash. It’s widely accepted, has no network fee, and carries with it a certain level of anonymity (for those sensitive to that sort of thing). There’s probably not much debate on carrying any of these items, except the wallet. I didn’t like carrying a wallet and a cell phone. I wanted to combine the two of them. Thankfully there’s a wide swath of wallet/phone combinations some of which I find cumbersome and hilarious. There are others that are elegant and work well. I went with the elegant version. My iPhone is now wrapped in a Silk iPhone case. 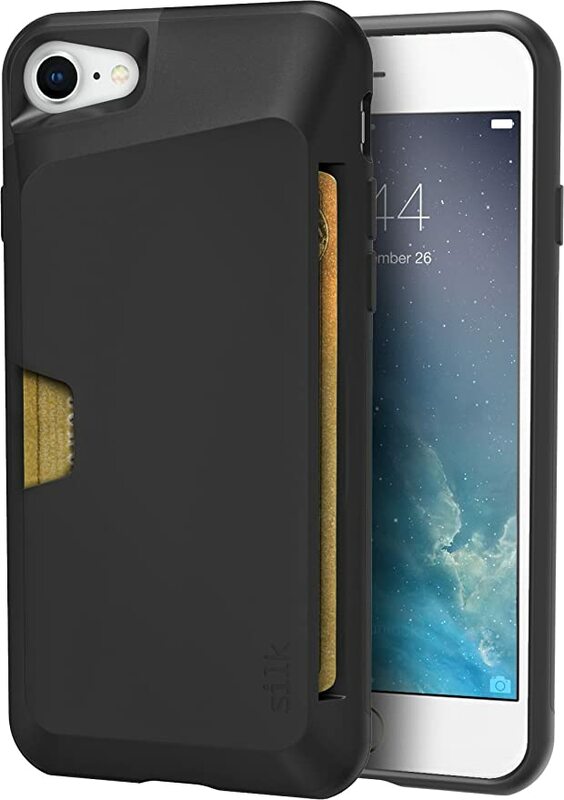 The case is thin, protective, durable and holds up to three cards and a couple of bills. It’s the perfect size for my lifestyle. Ah, but let’s see how I’ve fared. To support the sans-wallet lifestyle doesn’t just happen on its own. It takes a system various elements working together to make it functional. There are some stores that have full fledged apps that let me pay with an image of a QR code at the register combined with a thumb print for security. Getting dialed in to each shopping experience’s ecosystem does take a bit of time, but it’s not a terribly cumbersome process to set up. Self checkout lets you practice without feeling that you’re holding up the line. I carry fewer cards. One of the ones I leave at home is my big-box club card. Why? Because I may have a membership, but I rarely go there. In contrast, my wife uses that store for much of her shopping for kids lunches. At this point in time I’m note aware if they have a digital membership feature on their app or not, but minus that it’s been reasonably smooth sailing. One thing that has been really nice in all of this is the feeling of shedding the institutionalization that I was a part of in the military for so many years. It’s also been really neat to see how technology is enabling faster and more efficient transactions in the economy. I’m sure our great-grand parents would have thought self-checkout was frivolous because regular checkout was already faster than making one’s own bread, killing and butchering some animals, and frying up some potato chips. I rather enjoy not having a paper receipt at the end of the transaction and having the ability to view my purchase history via my phone. Life, Sans-Wallet is pretty good right now and when we can solve the problem of having to carry licenses around we’ll be doing even better.